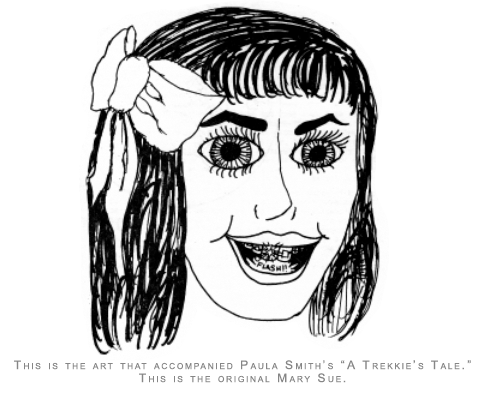 Since May Sue first appeared in Paula’s Smith “A Trekkie’s Tale” in 1972, the character has become synonymous with unlikely awesomeness. While the term “Mary Sue” originally meant a character introduced into fan-fiction who functions as a self-insertion empowerment fantasy, more generally, it can be applied to any character who seems too good to be true. Like, for example, Rey in the The Force Awakens. Rey masters the force instantaneously, she fights and defeats the bad guy in her first light saber duel, she’s great at everything. And being great at everything, some critics have argued, makes her a Mary Sue. Rey, though, is hardly the only sci-fi star who fits the Mary Sue template. Fans have pointed out that Luke Skywalker — the backwater nobody chosen to save the universe — looks a lot like a Mary Sue himself. 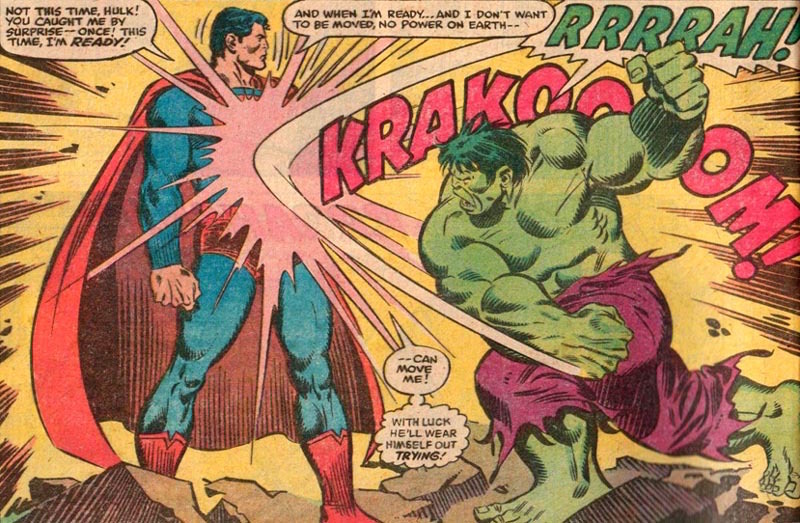 And for that matter what about Superman, whose whole schtick is that he’s the most powerful dude on earth? You can talk about Bella in Twilight all you want. The Mary Sue-iest of Mary Sues is Paul Atreides. Sure, Rey has the force. But Paul Atreides looks at Rey’s force and chuckles dryly, in a knowing but tormented way. Paul is the Kwisatz Haderach — a male witch superbeing who can see into the future via genetic memory, at the price of being all tortured and sad. On top of that, he’s a reigning Duke, a natural leader, and has been trained to the nth degree in mental discipline and space karate. Though he’s only 15, he regularly beats the tar out of trained adult warriors because he’s just that cool. Oh, yes, and he’s also a mentat — a kind of human computer. Paul Atreides is a tragic chosen one who is better at everything than everybody. Even Kirk might be embarrassed to gush so thoroughly over his Mary Sue. Dune didn’t invent the Mary Sue trope, though. In fact, Paul is just walking in the over-powered footsteps of earlier pulp paragons, like Tarzan and John Carter. And like those earlier prototypes, Paul’s special power comes from his status as outsider, or colonizer, gone native. Tarzan is a white guy who is raised by apes in deepest Africa, and so conjoins the superior genetics of the Caucasian with the feral cunning of the jungle. Similarly, Paul has been literally bred through a eugenic program to create a master race. He’s described as being a male wielding traditionally female power, though he truly comes into his own when he goes slumming on the desert planet Arrakis only to become the leader of the Arab-analog, desert-dwelling Fremen. Despite himself, Dune declares, Paul will lead those barbarians on “jihad”, turning the “bloody swords and fanatic legions” against the civilized universe. In Dune, “Mary Sue” is barely distinguishable from “white supremacist” and/or “male supremacist.” Paul’s power comes from being a man who is better at being a woman than women are. Moreover, he’s the hero because of his genetic status as superior colonizer — coupled with his baptism in the virile savagery of the conquered. He’s another variation on Natty Bumpo, the white man gone native, whose skin tone makes him even better at being Indian than the Indians. All of which maps perfectly onto the Mary Sue story. Like Paul, Mary Sue is an outsider. But instead of colonizing some fascinating “lesser” culture, she invades the fiction itself. The joke of Paula Smith’s story is that Mary Sue does not belong in the Star Trek world. She never appeared on the show; she’s interpolated in. And it’s because she’s an outsider that she has so many improbable powers and abilities and personality traits. She’s a ringer. Her powers come from being half in the real world and half in the fictional world, just as Paul’s powers, or Tarzan’s, come from being half eugenic overlord, half racist fantasy of virile underclass. Star Wars and Dune both derive from similar pulp sources — if you squint, you can see Flash Gordon adventures lurking in the background of each of them — so it’s not surprising that the superpulp outsider hero should pop up in both; the Flash Gordon whooshing down to the new planet to go native and save the world. The difference is that where Dune hews more closely to its white supremacist roots, Star Wars substituted Mary Sue-ness. Paul is the chosen one because he’s part of a eugenic breeding program; Luke is the chosen one just because he’s the protagonist, and the character you’re supposed to identify with. The outsiderness of Luke (or Rey) is a function of their special status as the hero, rather than their heroism being a function of their special status as white male savior outsiders. In this context, you could see the Mary Sue as a kind of hidden white supremacist trope — an effort to slip Tarzan discreetly onto the Enterprise. But you could also, more optimistically, see it as a way to delink heroism and the white male outsider savage. With Mary Sue, you don’t need to be from the master race to be a hero. Instead, you can just be any (iconically female) audience member, empowered by the simple act of projecting yourself into the story. Before criticizing the nonsensical unlikelihood of awesome Mary Sues like Rey, then, it’s worth remembering how pulp heroes used to be rationalized. Paul Atreides (and Tarzan, and Flash Gordon) were genetically engineered white male gods; their power was naturalized through the inevitable logic of masculine and racial superiority. If Mary Sue’s connection to the force is less visible, well, so much the better. Maybe the gratuitousness of her power is a small step towards acknowledging that there is no one natural heroic genetic code. The Mary Sue is a promise that anyone can be at the center of the universe, and of their own story.